When talking about metals option used for flashlight’s body material, titanium is most likely will be on top of the list. Although titanium is heavier than aluminum, but it’s much stronger and have better appearance. 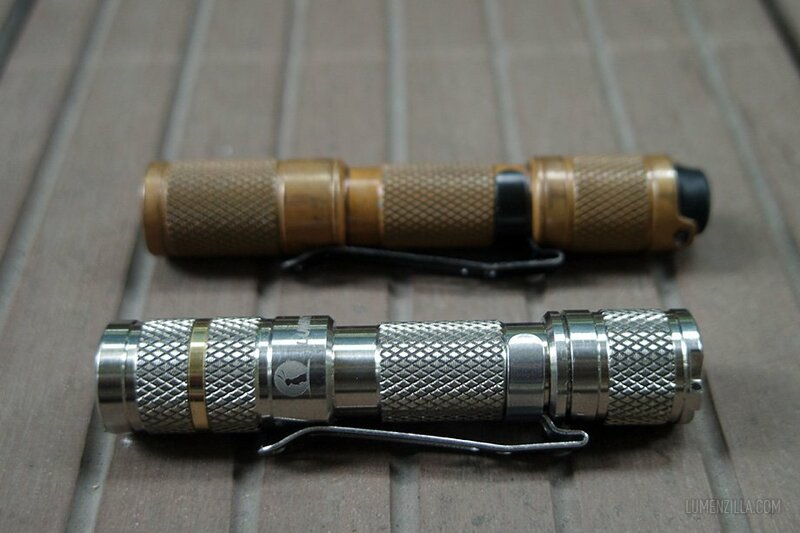 If you’re looking for a titanium flashlight to be added to your gentlemen flashlight collection, you should consider to put Lumintop Tool Ti on your list. 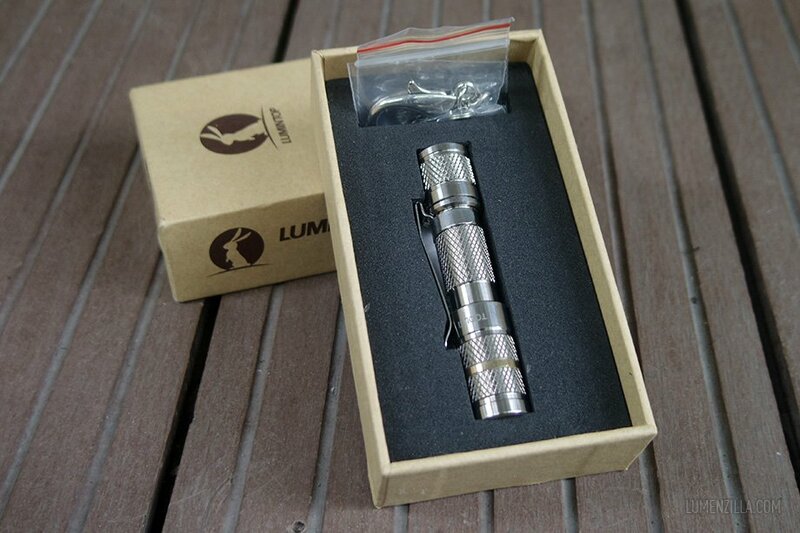 I received a sample of Lumintop Tool Ti from Gearbest and amazed to see how beautiful it is. 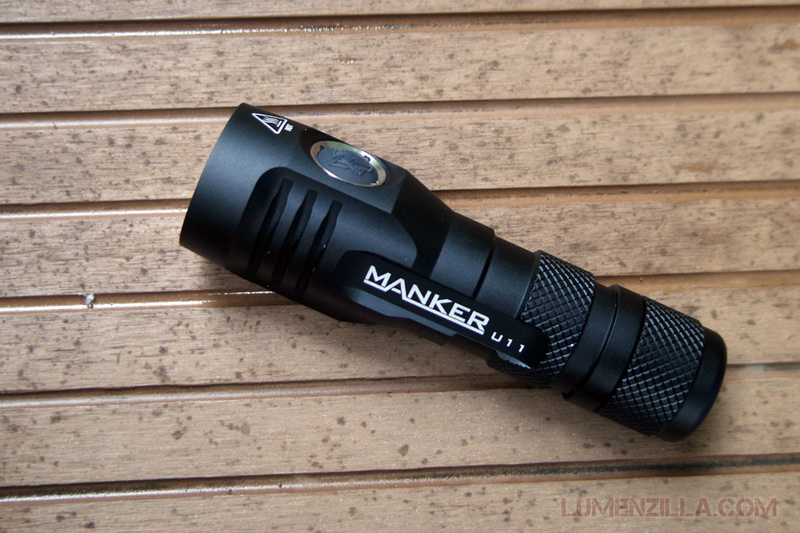 It’s so much different than the standard aluminum Lumintop Tool (AAA) both in appearance and size. Tool Ti is shorter than Tool AAA thanks to its newly designed electric tail switch. I no longer have aluminum version for comparison picture but I have ReyLight Tool AAA (copper) which has exact length with Lumintop Tool AAA. 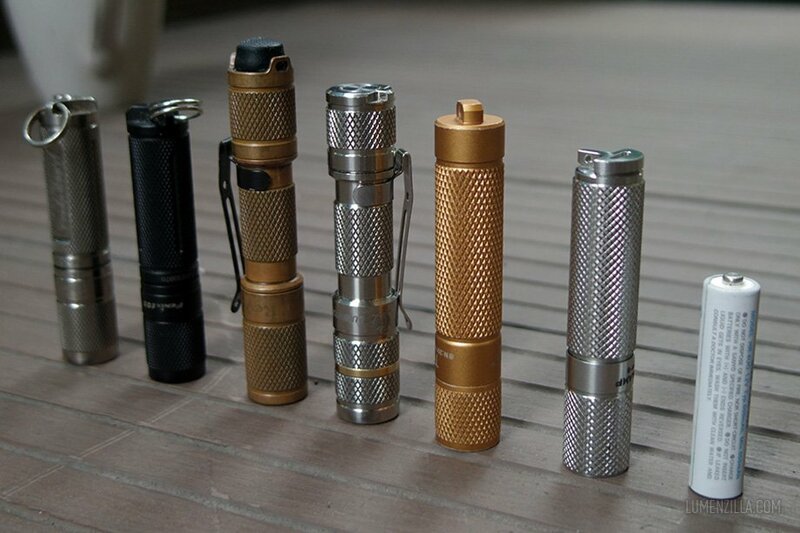 Here’s group picture of Fenix E99Ti, Fenix E05, Reylight Tool AAA, Lumintop Tool Ti, Thrunite Ti, Vollsion Eoslamp SP11, and an Eneloop lite AAA battery. The electric tail switch play an important role in this titanium version. The switch is very short and not abstruded so we can put this Tool Ti in tail stand position. 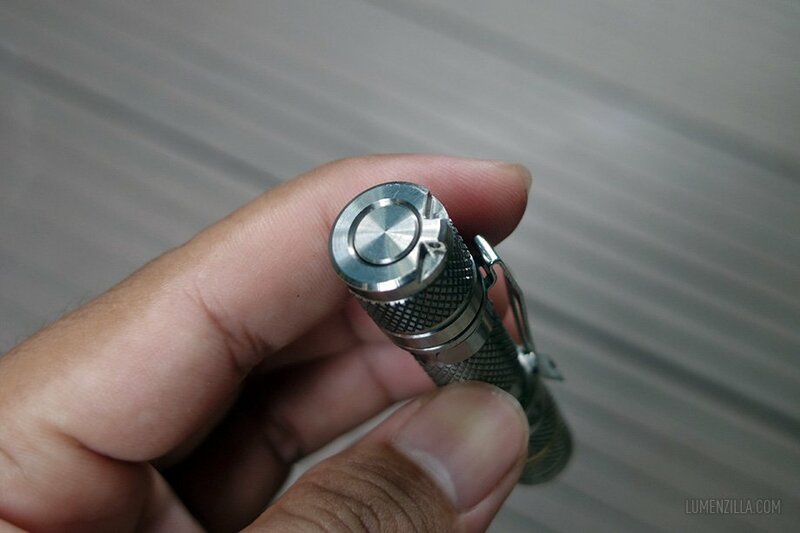 At first time receiving the flashlight, I thought that the switch was not working. Later I found that it took several minutes for the circuit/switchboard to charge itself before it’s fully functional. By using electric switch, I was hoping that Lumintop will give a new UI (user interface) to this flashlight like ramping the brightness mode selection. Unfortunatelly, the electric switch just works as same as mechanical clicky was. Just shorter. To switch mode, we have to click to turn it off and click again to turn it on on the next brightness mode. Why didn’t Lumintop create a new experience with the advantage of electric switch? 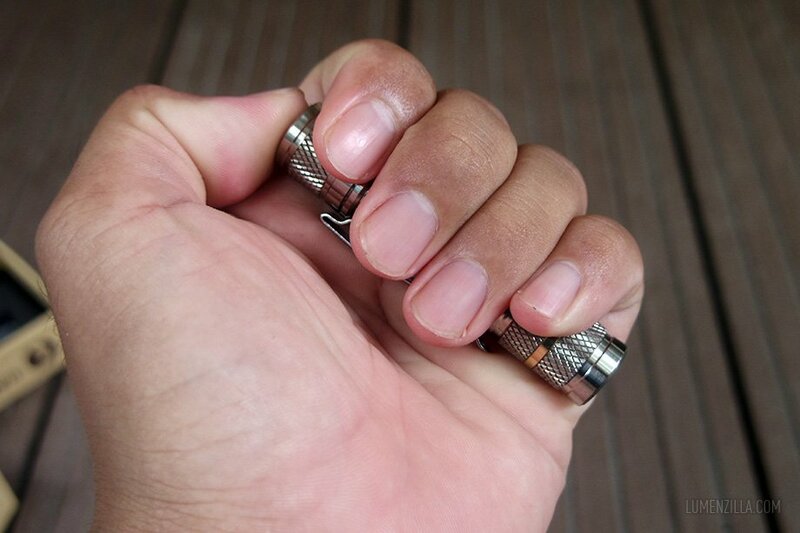 Despite the benefit of its electric switch, I feel that the flashlight is a bit too short for my hand. It took some time for me to get used to click the switch. 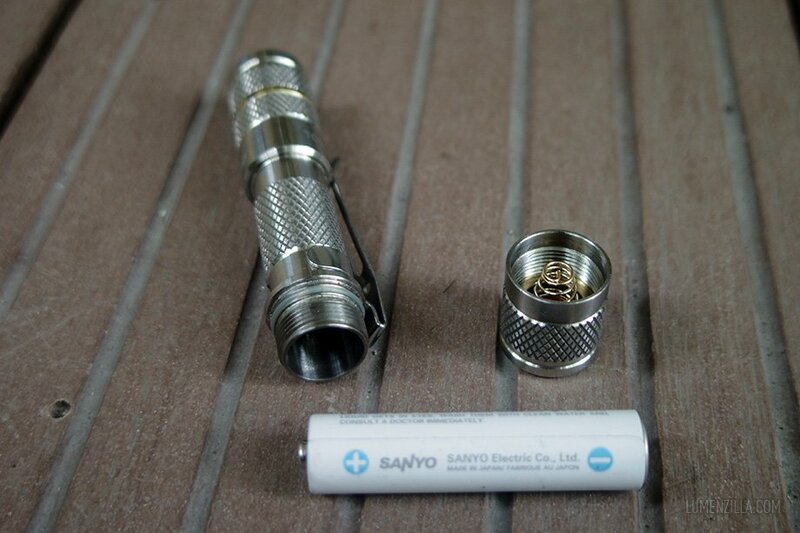 The sample I receive is the CREE XP-G2 version which has cooler tint color than the Nichia version. 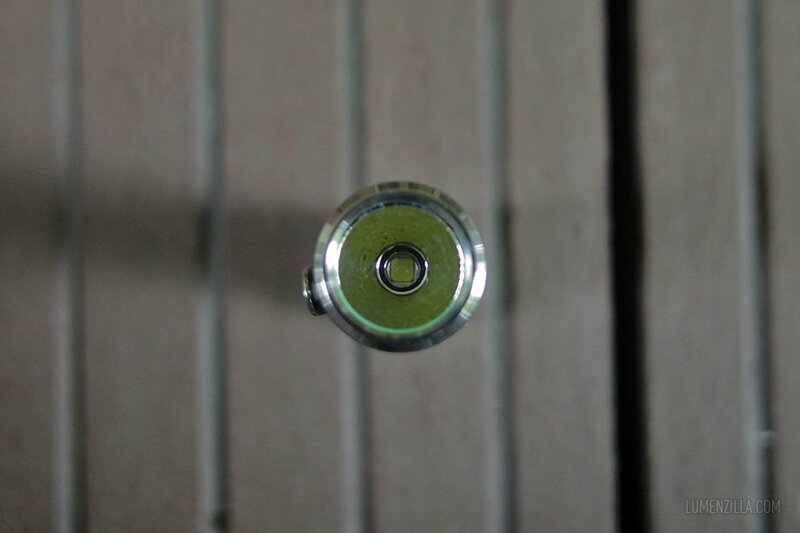 The greenish nuance shown at the following picture is reflection of GITD o ring installed in it. Orange peel reflector is used in this titanium version just like the standard aluminum one. If you like warmer tint, there’s a sale for the Nichia version at Gearbest for just $24.99 (flash sale price) at this very moment. 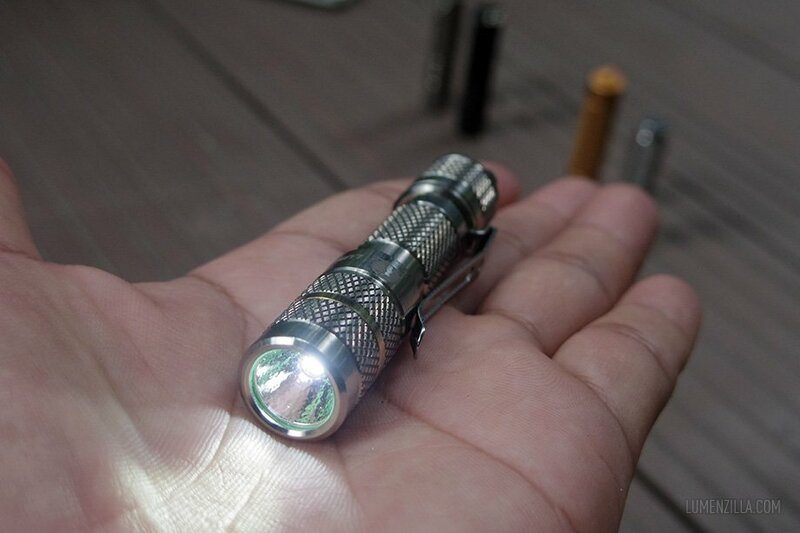 And if you missed this flash sale, use coupon TTNGB to purchase Lumintop Tool Ti from Gearbest for just $29.9.